Styled with momentum pant . From lunch-hour training session to a Sunday morning class and coffee date, the Hanna does double duty thanks to a built-in sweat-wicking shelf bra with removable cups and light-to-medium support. 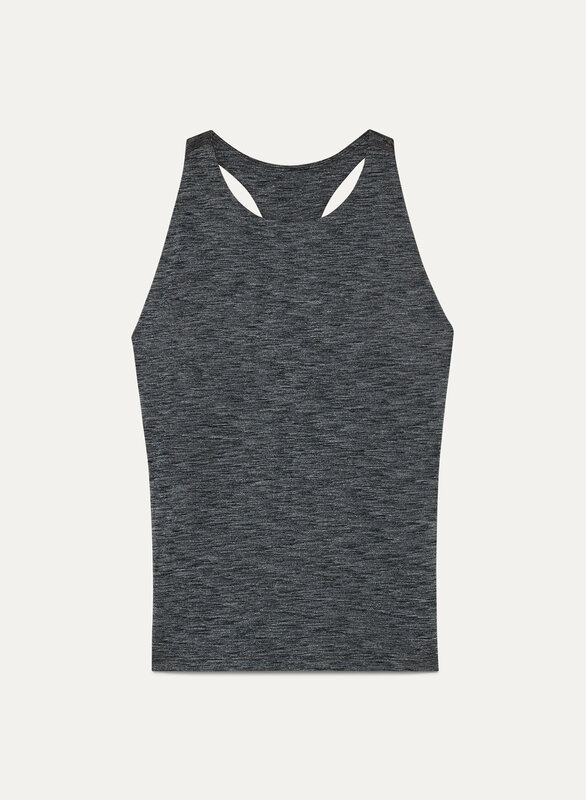 I'm so in love with everything about the hanna tank! What I love most is the higher neckline that allows me to feel super comfortable and supported in any yoga pose or at any angle. The fabric is also really great; its tight enough that you feel completely supported yet, allows for unrestricted movement. Overall I highly recommend this tank to everyone! The one thing I would change though, is the length of it because if I'm not wearing high-waisted leggings to tuck it in under, then it does tend to roll up sometimes.